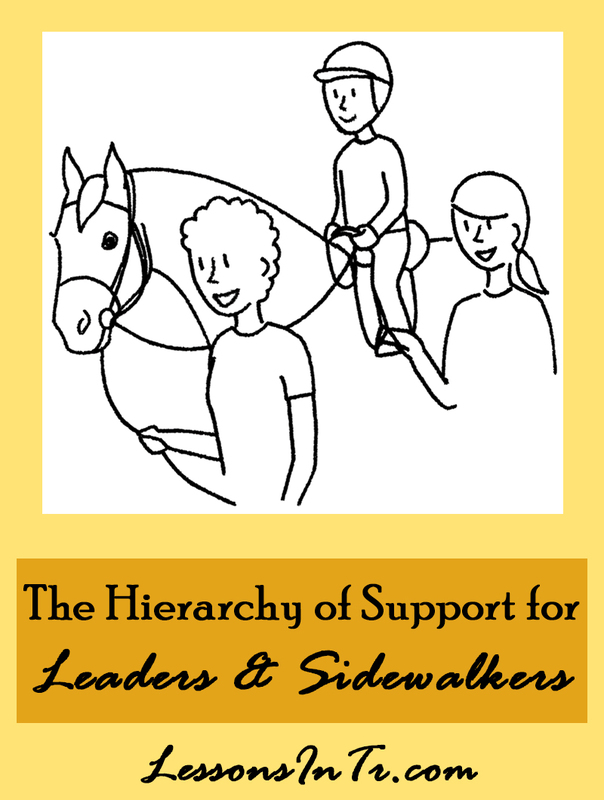 I am going through the gaps of information not on this blog, and it seems I have never posted about the types of support that leaders and sidewalkers can give their riders. By support I mean physical assistance – I already blogged about sidewalker prompting assistance in the Hierarchy of Prompts. Breaking it down like this helps me be clear to both myself and the volunteers about how to help the rider, and the stages of progression that the rider can go through regarding support. 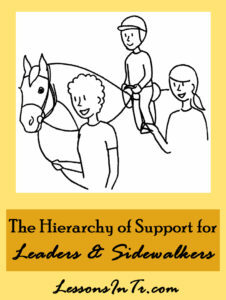 Without further ado, here is my viewpoint on the types of physical support that volunteers can give the riders. Note that in the explanations I only list a) the most important points that I try to pass on to volunteers, and b) the basics of when to use each hold for the TRI’s planning. This is by no means comprehensive. again, if your arm tires, ask to switch sides! I say 3 because it’s close enough the rider feels safe and the leader could reach the horse in case of emergency, but far enough it pushes the rider toward independence. 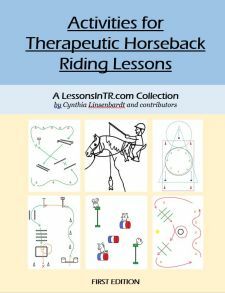 Really, you can wean the rider off the leader by slowly adding one foot away at a time. Lastly, I always stress to volunteers to assume the rider needs the most assistance unless I otherwise tell them! (And to ask me if I forgo to tell them!) 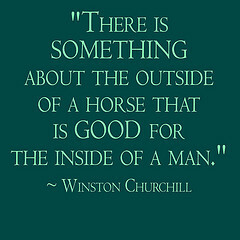 It’s safer to assume this, than to assume the rider doesn’t need support when they do. This is excellent. It’s how I work but I love how you have broken it down. Wonderful… thank you… clear and easily understood.